Kenya Moore LIES About Her Baby Brooklyn Doris Daly's Birth Date! Kenya Moore LIES About Her Baby Brooklyn Doris Daly’s Birth Date! 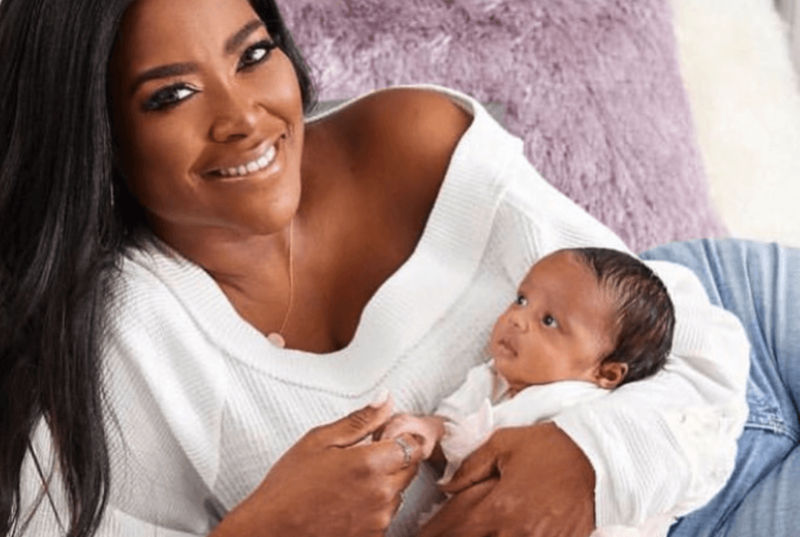 Former Real Housewives of Atlanta star, Kenya Moore, posted a video of her infant daughter, Brooklyn Doris Daly — announcing that the child turned 3-months-old — triggering questions about the baby’s actual birth date. On October 27th, Kenya Moore posted that she was having pregnancy complications and depending on test results, she might have to deliver that day. Then on November 4th, she posted the birth of her baby, Brooklyn Doris Daly. Now, let’s do the math — Kenya claims that her baby was born on November 4, so according to my calculator that would make February 4th, her baby’s 3-month birth mark — not today. Additionally, according to Kenya Moore, her “miracle baby” was born “nearly six weeks premature” so her November 4th delivery date pointed to a mid December due date, not Thanksgiving as she announced. Kenya Moore announced her pregnancy during the season 10 reunion — which was filmed on March 15, 2018. Even if Kenya conceived on that exact date — her due date would land on December 6. If People’s undisputed report is accurate — Kenya was not pregnant in mid March when she announced it. Is Kenya confused or did she lie about her baby’s birth date, which ironically coincided with the Season 11 premiere of The Real Housewives of Atlanta. Do you think Kenya Moore lied about her baby’s birth date? Sound off in the comments!